4x4, Back-Up Camera, iPod/MP3 Input. Delmonico Red Pearl Coat exterior, Big Horn/Lone Star trim. EPA 24 MPG Hwy/19 MPG City! READ MORE!======EXCELLENT SAFETY FOR YOUR FAMILY: Child Safety Locks Safety equipment includes Child Safety Locks ======VEHICLE FEATURES: MP3 Player, Keyless Entry, Privacy Glass ======OPTION PACKAGES: WHEELS: 20 X 9 ALUMINUM CHROME CLAD, BIG HORN LEVEL 1 EQUIPMENT GROUP Rear Window Defroster, Cluster 3.5 TFT Color Display, Power 8-Way Driver Seat, Rear Power Sliding Window, Sun Visors w/Illuminated Vanity Mirrors, Glove Box Lamp, Integrated Center Stack Radio, Class IV Receiver Hitch, Single Disc Remote CD Player, Power 4-Way Driver Lumbar Adjust, Power Adjustable Pedals, Foam Bottle Insert (Door Trim Panel), Google Android Auto, For More Info, Call 800-643-2112, Exterior Mirrors Courtesy Lamps, 1-Year SiriusXM Radio Service, Auto Dim Exterior Driver Mirror, Radio: Uconnect 4 w/8.4 Display, SiriusXM Satellite Radio, Exterior Mirrors w/Supplemental Signals, Big Horn IP Badge, Rear Dome w/On/Off Switch Lamp, Universal Garage Door Opener, Power Heated Fold Away Mirrors, Rear View Auto Dim Mirror, 8.4 Touchscreen Display, REMOTE START SYSTEM, QUICK ORDER PACKAGE 23Z BIG HORN/LONE STAR Engine: 3.6L V6 24V VVT eTorque UPG I, Transmission: 8-Speed Automatic (850RE), Steering Wheel Mounted Audio Controls, TRANSMISSION: 8-SPEED AUTOMATIC (850RE) (STD), ENGINE: 3.6L V6 24V VVT ETORQUE UPG I (STD). ======EXPERTS ARE SAYING: Edmunds.com's review says It feels strong off the line, and it serves up excellent roll-on acceleration when it's time to merge or make a pass.. Great Gas Mileage: 24 MPG Hwy. Fuel economy calculations based on original manufacturer data for trim engine configuration. Please confirm the accuracy of the included equipment by calling us prior to purchase. Big Horn/Lone Star trim, Bright White Clear Coat exterior. FUEL EFFICIENT 21 MPG Hwy/15 MPG City! Back-Up Camera, iPod/MP3 Input AND MORE!======: Safety equipment includes Child Safety Locks ======VEHICLE FEATURES: MP3 Player, Keyless Entry, Privacy Glass ======OPTION PACKAGES: ENGINE: 5.7L V8 HEMI MDS VVT Hemi Badge, Dual Rear Exhaust w/Bright Tips, GVWR: 7,100 lbs, 180 Amp Alternator, Heavy Duty Engine Cooling, Active Noise Control System, BIG HORN LEVEL 1 EQUIPMENT GROUP Rear Window Defroster, Cluster 3.5 TFT Color Display, Power 8-Way Driver Seat, Rear Power Sliding Window, Sun Visors w/Illuminated Vanity Mirrors, Glove Box Lamp, Integrated Center Stack Radio, Class IV Receiver Hitch, Single Disc Remote CD Player, Power 4-Way Driver Lumbar Adjust, Power Adjustable Pedals, Foam Bottle Insert (Door Trim Panel), Google Android Auto, For More Info, Call 800-643-2112, Exterior Mirrors Courtesy Lamps, 1-Year SiriusXM Radio Service, Auto Dim Exterior Driver Mirror, Radio: Uconnect 4 w/8.4 Display, SiriusXM Satellite Radio, Exterior Mirrors w/Supplemental Signals, Big Horn IP Badge, Rear Dome w/On/Off Switch Lamp, Universal Garage Door Opener, Power Heated Fold Away Mirrors, Rear View Auto Dim Mirror, 8.4 Touchscreen Display, QUICK ORDER PACKAGE 25Z BIG HORN/LONE STAR Engine: 5.7L V8 HEMI MDS VVT, Transmission: 8-Speed Automatic (8HP75), Steering Wheel Mounted Audio Controls, TRANSMISSION: 8-SPEED AUTOMATIC (8HP75). ======EXPERTS CONCLUDE: It feels strong off the line, and it serves up excellent roll-on acceleration when it's time to merge or make a pass. -Edmunds.com. Great Gas Mileage: 21 MPG Hwy. Fuel economy calculations based on original manufacturer data for trim engine configuration. Please confirm the accuracy of the included equipment by calling us prior to purchase. Heated/Cooled Leather Seats, Satellite Radio. FUEL EFFICIENT 21 MPG Hwy/15 MPG City! Delmonico Red Pearl Coat exterior, Laramie trim AND MORE!======EXCELLENT SAFETY FOR YOUR FAMILY: Child Safety Locks, Electronic Stability Control, Adjustable Pedals, Brake Assist, 4-Wheel ABS, Tire Pressure Monitoring System, 4-Wheel Disc Brakes Safety equipment includes Child Safety Locks ======VEHICLE FEATURES: MP3 Player, Keyless Entry, Privacy Glass, Steering Wheel Controls ======OPTION PACKAGES: ENGINE: 5.7L V8 HEMI MDS VVT HEMI badge, 220 Amp Alternator, Dual Rear Exhaust w/Bright Tips, GVWR: 7,100 lbs, Heavy Duty Engine Cooling, 26 Gallon Fuel Tank, Active Noise Control System, WHEELS: 20 X 9 PREMIUM PAINT/POLISHED Tires: 275/55R20 OWL All Season, ANTI-SPIN DIFFERENTIAL REAR AXLE, TRANSMISSION: 8-SPEED AUTOMATIC (8HP75). ======EXPERTS RAVE: It feels strong off the line, and it serves up excellent roll-on acceleration when it's time to merge or make a pass. -Edmunds.com. Great Gas Mileage: 21 MPG Hwy. 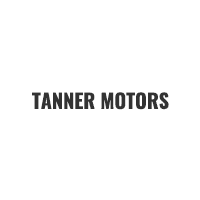 ======OUR OFFERINGS: At Tanner Companies we offer a broad selection of new and used Chrysler, RAM, Jeep, Dodge, and Nissan Cars, Trucks, and SUVs to Brainerd, Baxter and the surrounding St Cloud, Alexandria, and Little Falls areas. We take pride in the vehicles we sell and strive to succeed in providing an outstanding customer experience. As a leading auto dealership in our community, we are dedicated to providing our customers with great service. Fuel economy calculations based on original manufacturer data for trim engine configuration. Please confirm the accuracy of the included equipment by calling us prior to purchase. Back-Up Camera, iPod/MP3 Input. EPA 21 MPG Hwy/15 MPG City! Granite Crystal Met. Clear Coat exterior, Big Horn/Lone Star trim READ MORE!======: Safety equipment includes Child Safety Locks ======VEHICLE FEATURES: MP3 Player, Keyless Entry, Privacy Glass ======OPTION PACKAGES: ENGINE: 5.7L V8 HEMI MDS VVT Hemi Badge, Dual Rear Exhaust w/Bright Tips, GVWR: 7,100 lbs, 180 Amp Alternator, Heavy Duty Engine Cooling, Active Noise Control System, BIG HORN LEVEL 1 EQUIPMENT GROUP Rear Window Defroster, Cluster 3.5 TFT Color Display, Power 8-Way Driver Seat, Rear Power Sliding Window, Sun Visors w/Illuminated Vanity Mirrors, Glove Box Lamp, Integrated Center Stack Radio, Class IV Receiver Hitch, Single Disc Remote CD Player, Power 4-Way Driver Lumbar Adjust, Power Adjustable Pedals, Foam Bottle Insert (Door Trim Panel), Google Android Auto, For More Info, Call 800-643-2112, Exterior Mirrors Courtesy Lamps, 1-Year SiriusXM Radio Service, Auto Dim Exterior Driver Mirror, Radio: Uconnect 4 w/8.4 Display, SiriusXM Satellite Radio, Exterior Mirrors w/Supplemental Signals, Big Horn IP Badge, Rear Dome w/On/Off Switch Lamp, Universal Garage Door Opener, Power Heated Fold Away Mirrors, Rear View Auto Dim Mirror, 8.4 Touchscreen Display, QUICK ORDER PACKAGE 25Z BIG HORN/LONE STAR Engine: 5.7L V8 HEMI MDS VVT, Transmission: 8-Speed Automatic (8HP75), Steering Wheel Mounted Audio Controls, TRANSMISSION: 8-SPEED AUTOMATIC (8HP75). ======EXPERTS CONCLUDE: Edmunds.com's review says It feels strong off the line, and it serves up excellent roll-on acceleration when it's time to merge or make a pass.. Great Gas Mileage: 21 MPG Hwy. Fuel economy calculations based on original manufacturer data for trim engine configuration. Please confirm the accuracy of the included equipment by calling us prior to purchase. Heated Seats, Hitch, 4x4, BIG HORN LEVEL 2 EQUIPMENT GROUP. EPA 24 MPG Hwy/19 MPG City! Diamond Black Crystal P/C exterior AND MORE!======VEHICLE FEATURES: Keyless Entry, Privacy Glass ======OPTION PACKAGES: BIG HORN LEVEL 2 EQUIPMENT GROUP Rear Window Defroster, Cluster 7.0 TFT Color Display, Power 8-Way Driver Seat, ParkSense Front/Rear Park Assist w/Stop, Rear Power Sliding Window, Sun Visors w/Illuminated Vanity Mirrors, Heated Steering Wheel, Glove Box Lamp, Integrated Center Stack Radio, 115V Auxiliary Rear Power Outlet, Class IV Receiver Hitch, Single Disc Remote CD Player, Power 4-Way Driver Lumbar Adjust, 2 USB Full Function/Charge Only Media Hub, Heated Front Seats, Power Adjustable Pedals, Foam Bottle Insert (Door Trim Panel), Google Android Auto, Dampened Tailgate, 400W Inverter, 115V Auxiliary Power Outlet, For More Info, Call 800-643-2112, Exterior Mirrors Courtesy Lamps, Auto Dim Exterior Driver Mirror, 1-Year SiriusXM Radio Service, Radio: Uconnect 4 w/8.4 Display, Big Horn, BLACK APPEARANCE PACKAGE Body Color Door Handles, Tires: 275/55R20 OWL All Season, Wheels: 20 x 9 Cast Aluminum Black, Grille B/Color Outline 1 Texture 2, Dual Exhaust w/Black Tips, Body Color Rear Bumper w/Step Pads, Exterior Mirrors Courtesy Lamps, Black Interior Accents, Auto Dim Exterior Driver Mirror, Exterior Mirrors w/Supplemental Signals, Body Color Front Bumper, Exterior Mirrors w/Memory, Black Headlamp Bezels, Black Exterior Truck Badging, Power-Folding Mirrors, Power Heated Fold-Away Mirrors, ENGINE: 3.6L V6 24V VVT ETORQUE UPG I (STD), TRANSMISSION: 8-SPEED AUTOMATIC (850RE) (STD), QUICK ORDER PACKAGE 23Z BIG HORN/LONE STAR Engine: 3.6L V6 24V VVT eTorque UPG I, Transmission: 8-Speed Automatic (850RE) Fuel economy calculations based on original manufacturer data for trim engine configuration. Please confirm the accuracy of the included equipment by calling us prior to purchase. IPod/MP3 Input, Bluetooth, Keyless Start, 4x4. Diamond Black Crystal P/C exterior, Tradesman trim. EPA 21 MPG Hwy/15 MPG City! CLICK NOW!======EXCELLENT SAFETY FOR YOUR FAMILY: Child Safety Locks, Electronic Stability Control, Brake Assist, 4-Wheel ABS, Tire Pressure Monitoring System, 4-Wheel Disc Brakes Safety equipment includes Child Safety Locks ======VEHICLE FEATURES: MP3 Player, Keyless Entry, Privacy Glass ======OPTION PACKAGES: TRADESMAN LEVEL 1 EQUIPMENT GROUP Rear Power Sliding Window, Carpet Floor Covering, For More Info, Call 800-643-2112, Front & Rear Floor Mats, 1-Year SiriusXM Radio Service, SiriusXM Satellite Radio, ENGINE: 5.7L V8 HEMI MDS VVT Hemi Badge, GVWR: 7,100 lbs, 180 Amp Alternator, Heavy Duty Engine Cooling, Active Noise Control System, OFF ROAD GROUP Front Extra HD Shock Absorbers, E-Locker Rear Axle, Rear Extra HD Shock Absorbers, Fuel Tank Skid Plate, Transfer Case Skid Plate, Front Suspension Skid Plate, Tow Hooks, Steering Gear Skid Plate, Tires: LT275/65R18C OWL On/Off Road, Off Road Decals, Hill Descent Control, Tire: Full Size Spare, TRAILER TOW GROUP Power Black Trailer Tow Mirrors, Trailer Brake Control, Trailer Tow Mirrors, Class IV Receiver Hitch, Exterior Mirrors Courtesy Lamps, Exterior Mirrors w/Supplemental Signals, TRANSMISSION: 8-SPEED AUTOMATIC (8HP75). ======EXPERTS ARE SAYING: Edmunds.com explains It feels strong off the line, and it serves up excellent roll-on acceleration when it's time to merge or make a pass.. Great Gas Mileage: 21 MPG Hwy. ======WHO WE ARE: At Tanner Companies we offer a broad selection of new and used Chrysler, RAM, Jeep, Dodge, and Nissan Cars, Trucks, and SUVs to Brainerd Fuel economy calculations based on original manufacturer data for trim engine configuration. Please confirm the accuracy of the included equipment by calling us prior to purchase. Heated/Cooled Leather Seats, Satellite Radio. EPA 21 MPG Hwy/15 MPG City! Laramie trim, Billet Silver Metallic Clear Coat exterior CLICK ME!======EXCELLENT SAFETY FOR YOUR FAMILY: Child Safety Locks, Electronic Stability Control, Adjustable Pedals, Brake Assist, 4-Wheel ABS, Tire Pressure Monitoring System, 4-Wheel Disc Brakes Safety equipment includes Child Safety Locks ======VEHICLE FEATURES: MP3 Player, Keyless Entry, Privacy Glass, Steering Wheel Controls ======OPTION PACKAGES: ENGINE: 5.7L V8 HEMI MDS VVT HEMI badge, 220 Amp Alternator, Dual Rear Exhaust w/Bright Tips, GVWR: 7,100 lbs, Heavy Duty Engine Cooling, 26 Gallon Fuel Tank, Active Noise Control System, WHEELS: 20 X 9 PREMIUM PAINT/POLISHED Tires: 275/55R20 OWL All Season, ANTI-SPIN DIFFERENTIAL REAR AXLE, TRANSMISSION: 8-SPEED AUTOMATIC (8HP75). ======VEHICLE REVIEWS: Edmunds.com explains It feels strong off the line, and it serves up excellent roll-on acceleration when it's time to merge or make a pass.. Great Gas Mileage: 21 MPG Hwy. ======BUY FROM AN AWARD WINNING DEALER: At Tanner Companies we offer a broad selection of new and used Chrysler, RAM, Jeep, Dodge, and Nissan Cars, Trucks, and SUVs to Brainerd, Baxter and the surrounding St Cloud, Alexandria, and Little Falls areas. We take pride in the vehicles we sell and strive to succeed in providing an outstanding customer experience. As a leading auto dealership in our community, we are dedicated to providing our customers with great service. Fuel economy calculations based on original manufacturer data for trim engine configuration. Please confirm the accuracy of the included equipment by calling us prior to purchase. Big Horn/Lone Star trim, Bright White Clear Coat exterior. FUEL EFFICIENT 21 MPG Hwy/15 MPG City! 4x4, Back-Up Camera, iPod/MP3 Input CLICK ME!======: Safety equipment includes Child Safety Locks ======VEHICLE FEATURES: MP3 Player, Privacy Glass, Keyless Entry ======OPTION PACKAGES: WHEELS: 20 X 9 ALUMINUM CHROME CLAD, ENGINE: 5.7L V8 HEMI MDS VVT Hemi Badge, Dual Rear Exhaust w/Bright Tips, GVWR: 7,100 lbs, 180 Amp Alternator, Heavy Duty Engine Cooling, Active Noise Control System, BIG HORN LEVEL 1 EQUIPMENT GROUP Rear Window Defroster, Cluster 3.5 TFT Color Display, Power 8-Way Driver Seat, Rear Power Sliding Window, Sun Visors w/Illuminated Vanity Mirrors, Glove Box Lamp, Integrated Center Stack Radio, Class IV Receiver Hitch, Single Disc Remote CD Player, Power 4-Way Driver Lumbar Adjust, Power Adjustable Pedals, Foam Bottle Insert (Door Trim Panel), Google Android Auto, For More Info, Call 800-643-2112, Exterior Mirrors Courtesy Lamps, 1-Year SiriusXM Radio Service, Auto Dim Exterior Driver Mirror, Radio: Uconnect 4 w/8.4 Display, SiriusXM Satellite Radio, Exterior Mirrors w/Supplemental Signals, Big Horn IP Badge, Rear Dome w/On/Off Switch Lamp, Universal Garage Door Opener, Power Heated Fold Away Mirrors, Rear View Auto Dim Mirror, 8.4 Touchscreen Display, ANTI-SPIN DIFFERENTIAL REAR AXLE, REMOTE START SYSTEM, QUICK ORDER PACKAGE 25Z BIG HORN/LONE STAR Engine: 5.7L V8 HEMI MDS VVT, Transmission: 8-Speed Automatic (8HP75), Steering Wheel Mounted Audio Controls, TRANSMISSION: 8-SPEED AUTOMATIC (8HP75). ======EXPERTS CONCLUDE: It feels strong off the line Great Gas Mileage: 21 MPG Hwy. Fuel economy calculations based on original manufacturer data for trim engine configuration. Please confirm the accuracy of the included equipment by calling us prior to purchase. Big Horn/Lone Star trim, Diamond Black Crystal P/C exterior. EPA 21 MPG Hwy/15 MPG City! 4x4, Back-Up Camera, iPod/MP3 Input AND MORE!======EXCELLENT SAFETY FOR YOUR FAMILY: Child Safety Locks Safety equipment includes Child Safety Locks ======VEHICLE FEATURES: MP3 Player, Privacy Glass, Keyless Entry ======OPTION PACKAGES: WHEELS: 20 X 9 ALUMINUM CHROME CLAD, ENGINE: 5.7L V8 HEMI MDS VVT Hemi Badge, Dual Rear Exhaust w/Bright Tips, GVWR: 7,100 lbs, 180 Amp Alternator, Heavy Duty Engine Cooling, Active Noise Control System, BIG HORN LEVEL 1 EQUIPMENT GROUP Rear Window Defroster, Cluster 3.5 TFT Color Display, Power 8-Way Driver Seat, Rear Power Sliding Window, Sun Visors w/Illuminated Vanity Mirrors, Glove Box Lamp, Integrated Center Stack Radio, Class IV Receiver Hitch, Single Disc Remote CD Player, Power 4-Way Driver Lumbar Adjust, Power Adjustable Pedals, Foam Bottle Insert (Door Trim Panel), Google Android Auto, For More Info, Call 800-643-2112, Exterior Mirrors Courtesy Lamps, 1-Year SiriusXM Radio Service, Auto Dim Exterior Driver Mirror, Radio: Uconnect 4 w/8.4 Display, SiriusXM Satellite Radio, Exterior Mirrors w/Supplemental Signals, Big Horn IP Badge, Rear Dome w/On/Off Switch Lamp, Universal Garage Door Opener, Power Heated Fold Away Mirrors, Rear View Auto Dim Mirror, 8.4 Touchscreen Display, ANTI-SPIN DIFFERENTIAL REAR AXLE, REMOTE START SYSTEM, QUICK ORDER PACKAGE 25Z BIG HORN/LONE STAR Engine: 5.7L V8 HEMI MDS VVT, Transmission: 8-Speed Automatic (8HP75), Steering Wheel Mounted Audio Controls, TRANSMISSION: 8-SPEED AUTOMATIC (8HP75). ======VEHICLE REVIEWS: Great Gas Mileage: 21 MPG Hwy. Fuel economy calculations based on original manufacturer data for trim engine configuration. Please confirm the accuracy of the included equipment by calling us prior to purchase. 4x4, Back-Up Camera, iPod/MP3 Input. Patriot Blue Pearl Coat exterior, Big Horn/Lone Star trim. FUEL EFFICIENT 21 MPG Hwy/15 MPG City! SEE MORE!======: Safety equipment includes Child Safety Locks ======VEHICLE FEATURES: MP3 Player, Privacy Glass, Keyless Entry ======OPTION PACKAGES: WHEELS: 20 X 9 ALUMINUM CHROME CLAD, ENGINE: 5.7L V8 HEMI MDS VVT Hemi Badge, Dual Rear Exhaust w/Bright Tips, GVWR: 7,100 lbs, 180 Amp Alternator, Heavy Duty Engine Cooling, Active Noise Control System, BIG HORN LEVEL 1 EQUIPMENT GROUP Rear Window Defroster, Cluster 3.5 TFT Color Display, Power 8-Way Driver Seat, Rear Power Sliding Window, Sun Visors w/Illuminated Vanity Mirrors, Glove Box Lamp, Integrated Center Stack Radio, Class IV Receiver Hitch, Single Disc Remote CD Player, Power 4-Way Driver Lumbar Adjust, Power Adjustable Pedals, Foam Bottle Insert (Door Trim Panel), Google Android Auto, For More Info, Call 800-643-2112, Exterior Mirrors Courtesy Lamps, 1-Year SiriusXM Radio Service, Auto Dim Exterior Driver Mirror, Radio: Uconnect 4 w/8.4 Display, SiriusXM Satellite Radio, Exterior Mirrors w/Supplemental Signals, Big Horn IP Badge, Rear Dome w/On/Off Switch Lamp, Universal Garage Door Opener, Power Heated Fold Away Mirrors, Rear View Auto Dim Mirror, 8.4 Touchscreen Display, ANTI-SPIN DIFFERENTIAL REAR AXLE, REMOTE START SYSTEM, QUICK ORDER PACKAGE 25Z BIG HORN/LONE STAR Engine: 5.7L V8 HEMI MDS VVT, Transmission: 8-Speed Automatic (8HP75), Steering Wheel Mounted Audio Controls, TRANSMISSION: 8-SPEED AUTOMATIC (8HP75). ======EXPERTS ARE SAYING: It feels strong off the line Great Gas Mileage: 21 MPG Hwy. Fuel economy calculations based on original manufacturer data for trim engine configuration. Please confirm the accuracy of the included equipment by calling us prior to purchase. Diamond Black Crystal P/C exterior, Big Horn/Lone Star trim. 4x4, Back-Up Camera, iPod/MP3 Input. FUEL EFFICIENT 21 MPG Hwy/15 MPG City! AND MORE!======: Safety equipment includes Child Safety Locks ======VEHICLE FEATURES: MP3 Player, Privacy Glass, Keyless Entry ======OPTION PACKAGES: WHEELS: 20 X 9 ALUMINUM CHROME CLAD, ENGINE: 5.7L V8 HEMI MDS VVT Hemi Badge, Dual Rear Exhaust w/Bright Tips, GVWR: 7,100 lbs, 180 Amp Alternator, Heavy Duty Engine Cooling, Active Noise Control System, BIG HORN LEVEL 1 EQUIPMENT GROUP Rear Window Defroster, Cluster 3.5 TFT Color Display, Power 8-Way Driver Seat, Rear Power Sliding Window, Sun Visors w/Illuminated Vanity Mirrors, Glove Box Lamp, Integrated Center Stack Radio, Class IV Receiver Hitch, Single Disc Remote CD Player, Power 4-Way Driver Lumbar Adjust, Power Adjustable Pedals, Foam Bottle Insert (Door Trim Panel), Google Android Auto, For More Info, Call 800-643-2112, Exterior Mirrors Courtesy Lamps, 1-Year SiriusXM Radio Service, Auto Dim Exterior Driver Mirror, Radio: Uconnect 4 w/8.4 Display, SiriusXM Satellite Radio, Exterior Mirrors w/Supplemental Signals, Big Horn IP Badge, Rear Dome w/On/Off Switch Lamp, Universal Garage Door Opener, Power Heated Fold Away Mirrors, Rear View Auto Dim Mirror, 8.4 Touchscreen Display, ANTI-SPIN DIFFERENTIAL REAR AXLE, REMOTE START SYSTEM, QUICK ORDER PACKAGE 25Z BIG HORN/LONE STAR Engine: 5.7L V8 HEMI MDS VVT, Transmission: 8-Speed Automatic (8HP75), Steering Wheel Mounted Audio Controls, TRANSMISSION: 8-SPEED AUTOMATIC (8HP75). ======EXPERTS RAVE: Edmunds.com explains It feels strong off the line Great Gas Mileage: 21 MPG Hwy. Fuel economy calculations based on original manufacturer data for trim engine configuration. Please confirm the accuracy of the included equipment by calling us prior to purchase. Big Horn/Lone Star trim, Delmonico Red Pearl Coat exterior. 4x4, Back-Up Camera, iPod/MP3 Input. EPA 21 MPG Hwy/15 MPG City! READ MORE!======: Safety equipment includes Child Safety Locks ======VEHICLE FEATURES: MP3 Player, Privacy Glass, Keyless Entry ======OPTION PACKAGES: WHEELS: 20 X 9 ALUMINUM CHROME CLAD, ENGINE: 5.7L V8 HEMI MDS VVT Hemi Badge, Dual Rear Exhaust w/Bright Tips, GVWR: 7,100 lbs, 180 Amp Alternator, Heavy Duty Engine Cooling, Active Noise Control System, BIG HORN LEVEL 1 EQUIPMENT GROUP Rear Window Defroster, Cluster 3.5 TFT Color Display, Power 8-Way Driver Seat, Rear Power Sliding Window, Sun Visors w/Illuminated Vanity Mirrors, Glove Box Lamp, Integrated Center Stack Radio, Class IV Receiver Hitch, Single Disc Remote CD Player, Power 4-Way Driver Lumbar Adjust, Power Adjustable Pedals, Foam Bottle Insert (Door Trim Panel), Google Android Auto, For More Info, Call 800-643-2112, Exterior Mirrors Courtesy Lamps, 1-Year SiriusXM Radio Service, Auto Dim Exterior Driver Mirror, Radio: Uconnect 4 w/8.4 Display, SiriusXM Satellite Radio, Exterior Mirrors w/Supplemental Signals, Big Horn IP Badge, Rear Dome w/On/Off Switch Lamp, Universal Garage Door Opener, Power Heated Fold Away Mirrors, Rear View Auto Dim Mirror, 8.4 Touchscreen Display, ANTI-SPIN DIFFERENTIAL REAR AXLE, REMOTE START SYSTEM, QUICK ORDER PACKAGE 25Z BIG HORN/LONE STAR Engine: 5.7L V8 HEMI MDS VVT, Transmission: 8-Speed Automatic (8HP75), Steering Wheel Mounted Audio Controls, TRANSMISSION: 8-SPEED AUTOMATIC (8HP75). ======EXPERTS RAVE: Edmunds.com's review says It feels strong off the line Great Gas Mileage: 21 MPG Hwy. Fuel economy calculations based on original manufacturer data for trim engine configuration. Please confirm the accuracy of the included equipment by calling us prior to purchase. 4x4, Trailer Hitch, iPod/MP3 Input. Granite Crystal Met. Clear Coat exterior, Big Horn trim. FUEL EFFICIENT 21 MPG Hwy/15 MPG City! AND MORE!======: Safety equipment includes Child Safety Locks ======VEHICLE FEATURES: MP3 Player, Privacy Glass, Keyless Entry ======OPTION PACKAGES: WHEELS: 20 X 9 ALUMINUM CHROME CLAD, BIG HORN LEVEL 1 EQUIPMENT GROUP Rear Window Defroster, Cluster 3.5 TFT Color Display, Power 8-Way Driver Seat, Rear Power Sliding Window, Sun Visors w/Illuminated Vanity Mirrors, Glove Box Lamp, Integrated Center Stack Radio, Class IV Receiver Hitch, Single Disc Remote CD Player, Power 4-Way Driver Lumbar Adjust, Power Adjustable Pedals, Foam Bottle Insert (Door Trim Panel), Google Android Auto, For More Info, Call 800-643-2112, Exterior Mirrors Courtesy Lamps, 1-Year SiriusXM Radio Service, Auto Dim Exterior Driver Mirror, Radio: Uconnect 4 w/8.4 Display, SiriusXM Satellite Radio, Exterior Mirrors w/Supplemental Signals, Big Horn IP Badge, Rear Dome w/On/Off Switch Lamp, Universal Garage Door Opener, Power Heated Fold Away Mirrors, Rear View Auto Dim Mirror, 8.4 Touchscreen Display, ENGINE: 5.7L V8 HEMI MDS VVT HEMI badge, dual rear exhaust w/bright tips, GVWR: 7,100 lbs, 180 Amp Alternator, Heavy Duty Engine Cooling, Active Noise Control System, PROTECTION GROUP Fuel Tank Skid Plate, Transfer Case Skid Plate, Front Suspension Skid Plate, Tow Hooks, Steering Gear Skid Plate, REMOTE START SYSTEM, QUICK ORDER PACKAGE 25Z BIG HORN/LONE STAR Engine: 5.7L V8 HEMI MDS VVT, Transmission: 8-Speed Automatic (8HP75), Steering Wheel Mounted Audio Controls, TRANSMISSION: 8-SPEED AUTOMATIC (8HP75). Fuel economy calculations based on original manufacturer data for trim engine configuration. Please confirm the accuracy of the included equipment by calling us prior to purchase. FUEL EFFICIENT 21 MPG Hwy/15 MPG City! 4x4, Back-Up Camera. Granite Crystal Met. Clear Coat exterior, Big Horn/Lone Star trim SEE MORE!======: Safety equipment includes Child Safety Locks ======VEHICLE FEATURES: MP3 Player, Privacy Glass, Keyless Entry ======OPTION PACKAGES: WHEELS: 20 X 9 ALUMINUM CHROME CLAD, ENGINE: 5.7L V8 HEMI MDS VVT Hemi Badge, Dual Rear Exhaust w/Bright Tips, GVWR: 7,100 lbs, 180 Amp Alternator, Heavy Duty Engine Cooling, Active Noise Control System, BIG HORN LEVEL 1 EQUIPMENT GROUP Rear Window Defroster, Cluster 3.5 TFT Color Display, Power 8-Way Driver Seat, Rear Power Sliding Window, Sun Visors w/Illuminated Vanity Mirrors, Glove Box Lamp, Integrated Center Stack Radio, Class IV Receiver Hitch, Single Disc Remote CD Player, Power 4-Way Driver Lumbar Adjust, Power Adjustable Pedals, Foam Bottle Insert (Door Trim Panel), Google Android Auto, For More Info, Call 800-643-2112, Exterior Mirrors Courtesy Lamps, 1-Year SiriusXM Radio Service, Auto Dim Exterior Driver Mirror, Radio: Uconnect 4 w/8.4 Display, SiriusXM Satellite Radio, Exterior Mirrors w/Supplemental Signals, Big Horn IP Badge, Rear Dome w/On/Off Switch Lamp, Universal Garage Door Opener, Power Heated Fold Away Mirrors, Rear View Auto Dim Mirror, 8.4 Touchscreen Display, ANTI-SPIN DIFFERENTIAL REAR AXLE, REMOTE START SYSTEM, QUICK ORDER PACKAGE 25Z BIG HORN/LONE STAR Engine: 5.7L V8 HEMI MDS VVT, Transmission: 8-Speed Automatic (8HP75), Steering Wheel Mounted Audio Controls, TRANSMISSION: 8-SPEED AUTOMATIC (8HP75). ======EXPERTS CONCLUDE: Edmunds.com's review says It feels strong off the line Great Gas Mileage: 21 MPG Hwy. Fuel economy calculations based on original manufacturer data for trim engine configuration. Please confirm the accuracy of the included equipment by calling us prior to purchase. EPA 21 MPG Hwy/15 MPG City! Big Horn/Lone Star trim, Billet Silver Metallic Clear Coat exterior. 4x4, Back-Up Camera, iPod/MP3 Input READ MORE!======: Safety equipment includes Child Safety Locks ======VEHICLE FEATURES: MP3 Player, Privacy Glass, Keyless Entry ======OPTION PACKAGES: WHEELS: 20 X 9 ALUMINUM CHROME CLAD, ENGINE: 5.7L V8 HEMI MDS VVT Hemi Badge, Dual Rear Exhaust w/Bright Tips, GVWR: 7,100 lbs, 180 Amp Alternator, Heavy Duty Engine Cooling, Active Noise Control System, BIG HORN LEVEL 1 EQUIPMENT GROUP Rear Window Defroster, Cluster 3.5 TFT Color Display, Power 8-Way Driver Seat, Rear Power Sliding Window, Sun Visors w/Illuminated Vanity Mirrors, Glove Box Lamp, Integrated Center Stack Radio, Class IV Receiver Hitch, Single Disc Remote CD Player, Power 4-Way Driver Lumbar Adjust, Power Adjustable Pedals, Foam Bottle Insert (Door Trim Panel), Google Android Auto, For More Info, Call 800-643-2112, Exterior Mirrors Courtesy Lamps, 1-Year SiriusXM Radio Service, Auto Dim Exterior Driver Mirror, Radio: Uconnect 4 w/8.4 Display, SiriusXM Satellite Radio, Exterior Mirrors w/Supplemental Signals, Big Horn IP Badge, Rear Dome w/On/Off Switch Lamp, Universal Garage Door Opener, Power Heated Fold Away Mirrors, Rear View Auto Dim Mirror, 8.4 Touchscreen Display, ANTI-SPIN DIFFERENTIAL REAR AXLE, REMOTE START SYSTEM, QUICK ORDER PACKAGE 25Z BIG HORN/LONE STAR Engine: 5.7L V8 HEMI MDS VVT, Transmission: 8-Speed Automatic (8HP75), Steering Wheel Mounted Audio Controls, TRANSMISSION: 8-SPEED AUTOMATIC (8HP75). ======EXPERTS ARE SAYING: It feels strong off the line Great Gas Mileage: 21 MPG Hwy. Fuel economy calculations based on original manufacturer data for trim engine configuration. Please confirm the accuracy of the included equipment by calling us prior to purchase. EPA 21 MPG Hwy/15 MPG City! Big Horn/Lone Star trim, Granite Crystal Met. Clear Coat exterior. 4x4, Back-Up Camera, iPod/MP3 Input SEE MORE!======: Safety equipment includes Child Safety Locks ======VEHICLE FEATURES: MP3 Player, Privacy Glass, Keyless Entry ======OPTION PACKAGES: WHEELS: 20 X 9 ALUMINUM CHROME CLAD, ENGINE: 5.7L V8 HEMI MDS VVT Hemi Badge, Dual Rear Exhaust w/Bright Tips, GVWR: 7,100 lbs, 180 Amp Alternator, Heavy Duty Engine Cooling, Active Noise Control System, BIG HORN LEVEL 1 EQUIPMENT GROUP Rear Window Defroster, Cluster 3.5 TFT Color Display, Power 8-Way Driver Seat, Rear Power Sliding Window, Sun Visors w/Illuminated Vanity Mirrors, Glove Box Lamp, Integrated Center Stack Radio, Class IV Receiver Hitch, Single Disc Remote CD Player, Power 4-Way Driver Lumbar Adjust, Power Adjustable Pedals, Foam Bottle Insert (Door Trim Panel), Google Android Auto, For More Info, Call 800-643-2112, Exterior Mirrors Courtesy Lamps, 1-Year SiriusXM Radio Service, Auto Dim Exterior Driver Mirror, Radio: Uconnect 4 w/8.4 Display, SiriusXM Satellite Radio, Exterior Mirrors w/Supplemental Signals, Big Horn IP Badge, Rear Dome w/On/Off Switch Lamp, Universal Garage Door Opener, Power Heated Fold Away Mirrors, Rear View Auto Dim Mirror, 8.4 Touchscreen Display, ANTI-SPIN DIFFERENTIAL REAR AXLE, REMOTE START SYSTEM, QUICK ORDER PACKAGE 25Z BIG HORN/LONE STAR Engine: 5.7L V8 HEMI MDS VVT, Transmission: 8-Speed Automatic (8HP75), Steering Wheel Mounted Audio Controls, TRANSMISSION: 8-SPEED AUTOMATIC (8HP75). ======EXPERTS ARE SAYING: Edmunds.com explains It feels strong off the line Great Gas Mileage: 21 MPG Hwy. Fuel economy calculations based on original manufacturer data for trim engine configuration. Please confirm the accuracy of the included equipment by calling us prior to purchase. Tradesman trim, Diamond Black Crystal P/C exterior. Back-Up Camera, 4x4, iPod/MP3 Input, Keyless Start. EPA 21 MPG Hwy/15 MPG City! CLICK ME!======EXCELLENT SAFETY FOR YOUR FAMILY: Child Safety Locks, Electronic Stability Control, Brake Assist, 4-Wheel ABS, Tire Pressure Monitoring System, 4-Wheel Disc Brakes Safety equipment includes Child Safety Locks ======VEHICLE FEATURES: MP3 Player, Keyless Entry, Privacy Glass ======OPTION PACKAGES: ENGINE: 5.7L V8 HEMI MDS VVT ETORQUE 23 Gallon Fuel Tank, Hemi Badge, GVWR: 7,100 lbs, Heavy Duty Engine Cooling, Active Noise Control System, TRADESMAN LEVEL 1 EQUIPMENT GROUP Rear Power Sliding Window, Carpet Floor Covering, For More Info, Call 800-643-2112, Front & Rear Floor Mats, 1-Year SiriusXM Radio Service, SiriusXM Satellite Radio, CHROME APPEARANCE GROUP Grille Chrome Outline 1 Texture 1, Bright Rear Bumper, Bright Front Bumper, Wheels: 18 x 8 Premium Paint Cast, OFF ROAD GROUP Front Extra HD Shock Absorbers, E-Locker Rear Axle, Rear Extra HD Shock Absorbers, Fuel Tank Skid Plate, Transfer Case Skid Plate, Front Suspension Skid Plate, Tow Hooks, Steering Gear Skid Plate, Tires: LT275/65R18C OWL On/Off Road, Off Road Decals, Hill Descent Control, Tire: Full Size Spare, TRAILER TOW GROUP Power Black Trailer Tow Mirrors, Trailer Brake Control, Trailer Tow Mirrors, Class IV Receiver Hitch, Exterior Mirrors Courtesy Lamps, Exterior Mirrors w/Supplemental Signals, TRADESMAN GROUP Spray In Bedliner, TRANSMISSION: 8-SPEED AUTOMATIC (8HP75). ======EXPERTS RAVE: Great Gas Mileage: 21 MPG Hwy. ======OUR OFFERINGS: At Tanner Companies we offer a broad selection of new and used Chrysler, RAM, Jeep, Dodge, and Nissan Cars Fuel economy calculations based on original manufacturer data for trim engine configuration. Please confirm the accuracy of the included equipment by calling us prior to purchase. Delmonico Red Pearl Coat exterior, Tradesman trim. EPA 21 MPG Hwy/15 MPG City! Back-Up Camera, 4x4, iPod/MP3 Input, Keyless Start CLICK ME!======EXCELLENT SAFETY FOR YOUR FAMILY: Child Safety Locks, Electronic Stability Control, Brake Assist, 4-Wheel ABS, Tire Pressure Monitoring System, 4-Wheel Disc Brakes Safety equipment includes Child Safety Locks ======VEHICLE FEATURES: MP3 Player, Keyless Entry, Privacy Glass ======OPTION PACKAGES: ENGINE: 5.7L V8 HEMI MDS VVT ETORQUE 23 Gallon Fuel Tank, Hemi Badge, GVWR: 7,100 lbs, Heavy Duty Engine Cooling, Active Noise Control System, TRADESMAN LEVEL 1 EQUIPMENT GROUP Rear Power Sliding Window, Carpet Floor Covering, For More Info, Call 800-643-2112, Front & Rear Floor Mats, 1-Year SiriusXM Radio Service, SiriusXM Satellite Radio, CHROME APPEARANCE GROUP Grille Chrome Outline 1 Texture 1, Bright Rear Bumper, Bright Front Bumper, Wheels: 18 x 8 Premium Paint Cast, OFF ROAD GROUP Front Extra HD Shock Absorbers, E-Locker Rear Axle, Rear Extra HD Shock Absorbers, Fuel Tank Skid Plate, Transfer Case Skid Plate, Front Suspension Skid Plate, Tow Hooks, Steering Gear Skid Plate, Tires: LT275/65R18C OWL On/Off Road, Off Road Decals, Hill Descent Control, Tire: Full Size Spare, TRAILER TOW GROUP Power Black Trailer Tow Mirrors, Trailer Brake Control, Trailer Tow Mirrors, Class IV Receiver Hitch, Exterior Mirrors Courtesy Lamps, Exterior Mirrors w/Supplemental Signals, TRADESMAN GROUP Spray In Bedliner, TRANSMISSION: 8-SPEED AUTOMATIC (8HP75). ======EXPERTS ARE SAYING: Great Gas Mileage: 21 MPG Hwy. ======VISIT US TODAY: At Tanner Companies we offer a broad selection of new and used Chrysler, RAM, Jeep, Dodge Fuel economy calculations based on original manufacturer data for trim engine configuration. Please confirm the accuracy of the included equipment by calling us prior to purchase. Tradesman trim, Bright White Clear Coat exterior. Back-Up Camera, 4x4, iPod/MP3 Input. FUEL EFFICIENT 21 MPG Hwy/15 MPG City! READ MORE!======EXCELLENT SAFETY FOR YOUR FAMILY: Child Safety Locks, Electronic Stability Control, Brake Assist, 4-Wheel ABS, Tire Pressure Monitoring System, 4-Wheel Disc Brakes Safety equipment includes Child Safety Locks ======VEHICLE FEATURES: MP3 Player, Keyless Entry, Privacy Glass ======OPTION PACKAGES: TRADESMAN LEVEL 1 EQUIPMENT GROUP Rear Power Sliding Window, Carpet Floor Covering, For More Info, Call 800-643-2112, Front & Rear Floor Mats, 1-Year SiriusXM Radio Service, SiriusXM Satellite Radio, ENGINE: 5.7L V8 HEMI MDS VVT Hemi Badge, GVWR: 7,100 lbs, 180 Amp Alternator, Heavy Duty Engine Cooling, Active Noise Control System, CHROME APPEARANCE GROUP Grille Chrome Outline 1 Texture 1, Bright Rear Bumper, Bright Front Bumper, Wheels: 18 x 8 Premium Paint Cast, OFF ROAD GROUP Front Extra HD Shock Absorbers, E-Locker Rear Axle, Rear Extra HD Shock Absorbers, Fuel Tank Skid Plate, Transfer Case Skid Plate, Front Suspension Skid Plate, Tow Hooks, Steering Gear Skid Plate, Tires: LT275/65R18C OWL On/Off Road, Off Road Decals, Hill Descent Control, Tire: Full Size Spare, TRAILER TOW GROUP Power Black Trailer Tow Mirrors, Trailer Brake Control, Trailer Tow Mirrors, Class IV Receiver Hitch, Exterior Mirrors Courtesy Lamps, Exterior Mirrors w/Supplemental Signals, TRADESMAN GROUP Spray In Bedliner, TRANSMISSION: 8-SPEED AUTOMATIC (8HP75). ======VEHICLE REVIEWS: Great Gas Mileage: 21 MPG Hwy. ======WHY BUY FROM US: At Tanner Companies we offer a broad selection of new and used Chrysler, RAM, Jeep, Dodge, and Nissan Cars, Trucks Fuel economy calculations based on original manufacturer data for trim engine configuration. Please confirm the accuracy of the included equipment by calling us prior to purchase. Heated Seats, 4x4, Back-Up Camera, TRANSMISSION: 8-SPEED AUTOMATIC (8HP7... EPA 21 MPG Hwy/15 MPG City! Big Horn/Lone Star trim SEE MORE!======EXCELLENT SAFETY FOR YOUR FAMILY: Child Safety Locks, Electronic Stability Control Safety equipment includes Child Safety Locks ======VEHICLE FEATURES: Keyless Entry, Privacy Glass ======OPTION PACKAGES: ENGINE: 5.7L V8 HEMI MDS VVT ETORQUE 23 Gallon Fuel Tank, Hemi Badge, Dual Rear Exhaust w/Bright Tips, GVWR: 7,100 lbs, 18 Aluminum Spare Wheel, Heavy Duty Engine Cooling, Active Noise Control System, BIG HORN LEVEL 2 EQUIPMENT GROUP Rear Window Defroster, Cluster 7.0 TFT Color Display, Power 8-Way Driver Seat, ParkSense Front/Rear Park Assist w/Stop, Rear Power Sliding Window, Sun Visors w/Illuminated Vanity Mirrors, Heated Steering Wheel, Glove Box Lamp, Integrated Center Stack Radio, 115V Auxiliary Rear Power Outlet, Class IV Receiver Hitch, Single Disc Remote CD Player, Power 4-Way Driver Lumbar Adjust, 2 USB Full Function/Charge Only Media Hub, Heated Front Seats, Power Adjustable Pedals, Foam Bottle Insert (Door Trim Panel), Google Android Auto, Dampened Tailgate, 400W Inverter, 115V Auxiliary Power Outlet, For More Info, Call 800-643-2112, Exterior Mirrors Courtesy Lamps, Auto Dim Exterior Driver Mirror, 1-Year SiriusXM Radio Service, Radio: Uconnect 4 w/8.4 Display, Big Horn, WHEELS: 20 X 9 ALUMINUM CHROME CLAD, QUICK ORDER PACKAGE 27Z BIG HORN/LONE STAR Engine: 5.7L V8 HEMI MDS VVT eTorque, Transmission: 8-Speed Automatic (8HP75), Steering Wheel Mounted Audio Controls, TRANSMISSION: 8-SPEED AUTOMATIC (8HP75). ======EXPERTS ARE SAYING: Great Gas Mileage: 21 MPG Hwy. Fuel economy calculations based on original manufacturer data for trim engine configuration. Please confirm the accuracy of the included equipment by calling us prior to purchase.